McDonald's Has First Drop In Key Sales Figure Since 2003 : The Two-Way Sales at the chain's restaurants that have been open at least 13 months fell 1.8 percent in October. It's the first month-to-month decline for the fast-food giant in that important indicator since April 2003. The golden arches at a McDonald's restaurant in Miami. 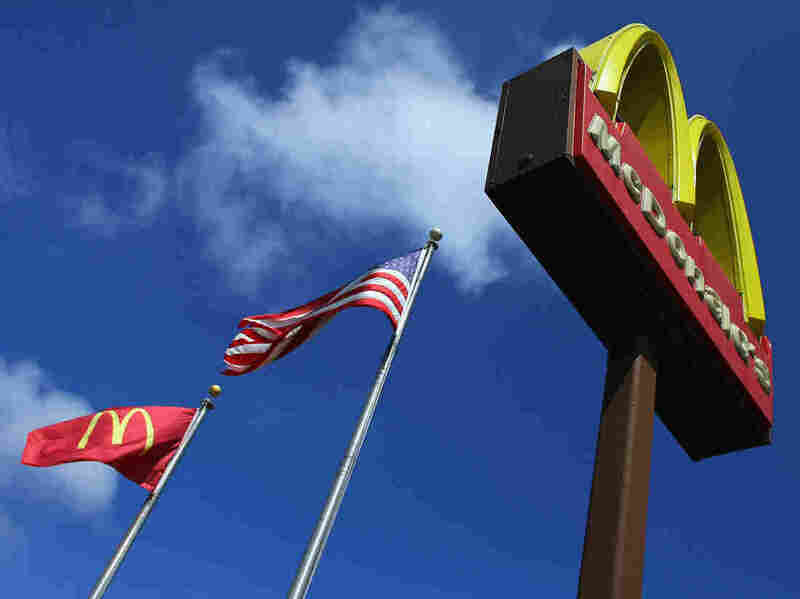 Fast-food giant McDonald's said today that revenue at its restaurants that have been open at least 13 months fell 1.8 percent in October — the first time it has suffered a month-to-month decline in that key indicator since April 2008, according to BloombergBusinessweek. As The Associated Press says, "the figure is a key metric because it strips out the impact of newly opened and closed locations. It's a snapshot of money spent on food at both company-owned and franchised restaurants and does not reflect corporate revenue." Dow Jones Newswires writes that the chain is struggling "to combat slowing consumer demand amid ongoing economic uncertainty." One way McDonald's is responding is to push its "Dollar Menu" of low-cost options. I am confident that our strategies and the adjustments we are making in response to the current business headwinds will build sales momentum and drive sustained, profitable growth," company President and Chief Executive Don Thompson says.